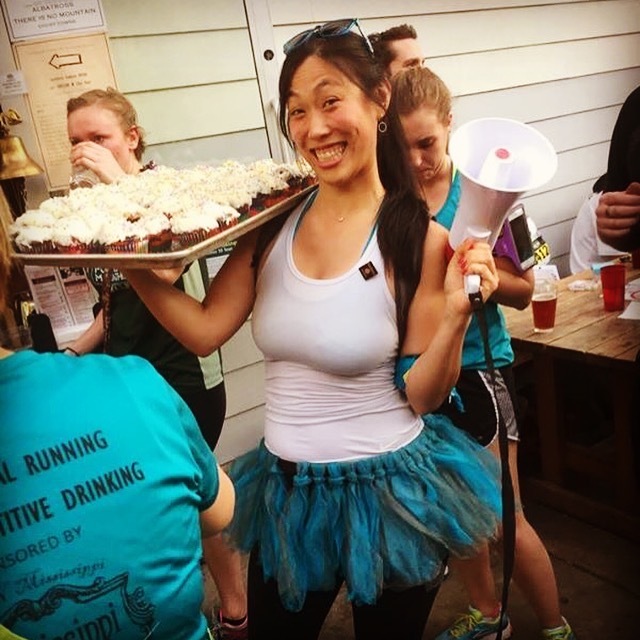 As the founding member of NOPO Run Club Mary personifies the term "Fearless Leader." She is your "Go to gal" in all things NOPO. When she's not climbing hills, this gal is climbing mountains, so she can eat her way through the Portland foodie scene. In her spare time she fights cancer and practices the zen art of acupuncture. She has not slept in over 7 years. Zach is the Go-To-Gal's wanna be Go-To-Guy. An At Large Board Member, Zach is there to co-host an event, help collect donations to the club, or, once in a blue moon, take the mic on a Wednesday NoPo run. Zach is always interested in meeting new people, making them comfortable, and answering as many questions as possible. Just find the gray hair - a beacon in the night. Matt has been running the Mississippi Wednesday NOPO run since 2013. When asked if he was tired of running the same route after so many years he replied, "No, there are always new interesting people to meet and we meet at a bar so a couple of the runs I don't really remember..." Matt handles all of our media, design and marketing needs. He doesn't have free time, but if he did he'd probably be out trail running or riding bikes. He is currently trying to change his middle name legally to Danger. Great hearing from you! We will try to respond back within 48 hours of receiving this email. Thank you.